Open Access: Business or Pleasure? How can scientists make their findings freely available in a timely fashion? Why is the current method of information dissemination so bloated and outdated? How can it be fixed? Whose interests should science serve? These are the questions being raised by the Open Access movement. Simply put, science journals are expensive to maintain, to submit papers to, and to extract papers from. “Open Access” is an umbrella term that describes various partial solutions. In order to evade some of the cost of publishing, researchers have approached open access in a number of ways. Some researchers post their papers to a preprint server, while others push for open access journals. 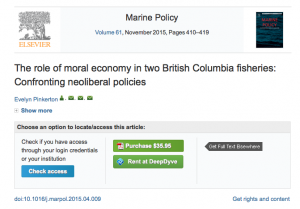 Some navigate ‘covert’ Twitter operations involving specific hashtags, and one even started an online hub dedicated to pirating papers. These methods counter the problem of publication delays by getting research—including time-sensitive or “unpublishable” material such as news, replications and negative results—onto readers’ screens. Getting more papers published faster is a huge career benefit to researchers, and addressing these other flaws benefits the whole scientific community. 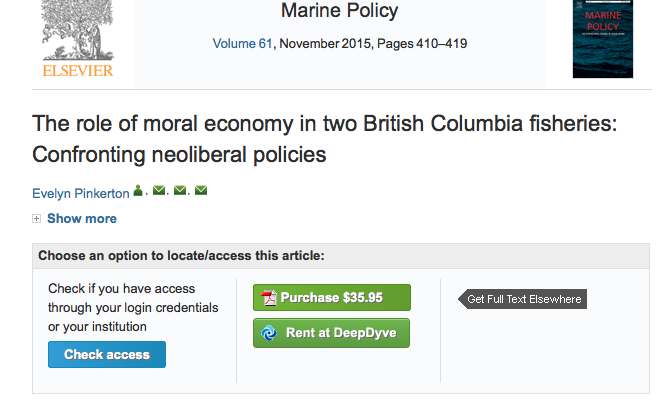 Access costs are typically over $30 for a single article – even for research that’s clearly in the public interest. But open access isn’t a panacea. While it does provide a quick route for researchers who want their work freely available, there are costs and tradeoffs. The most frequent criticism is that open access entails a loss of credibility. The rigour of peer-review is not easily forgone. Informal review is inconsistent and it can be especially problematic if media sources (or the researchers themselves!) seize on and promote flawed work. And the elimination of some costs entails introducing new ones, such as controversial fees, because someone still has to pay for a paper to have ‘open access’ status. It’s not only scientists who are affected by this debate. Pacific Wild is a case in point. “We’re not really functioning in the academic world,” says Krista Roessingh, its Development and Volunteer Coordinator. Pacific Wild, a non-profit organization based in the Great Bear Rainforest, relies on conservation science to run its projects, collaborations, and “visual storytelling” assets. Roessingh notes: “A lot of times, environmental organizations are basically doing their own mini environmental assessments based on local knowledge and published research.” Using information from fieldwork, fisheries, archaeology, (eco)anthropology and First Nations local knowledge, Pacific Wild is able to fuel its campaigns and “communicate science to a broader public.” They get by with whatever they have access to, but (generally-speaking) data from peer-reviewed sources are not always available. And because of their role in public education, Pacific Wild needs to ensure the information it releases is credible. After all, science is not just a conveyor belt of papers. It’s an integrated body of knowledge and a public good. Taxpayers support research, and the results of that research provide a public benefit—but it only works if they’re accessible. The difficulties accessing papers are already pushing scientists to ‘covert’ Twitter operations and large piracy operations. Science publishing is in need of a paradigm shift. In the more familiar realm of digital file sharing, the era of $30 DVDs led to widespread copyright violations—but indirectly paved the way for new business models such as Netflix. Open access may not be the definitive answer, but it has sparked a conversation about what science publishing could be. 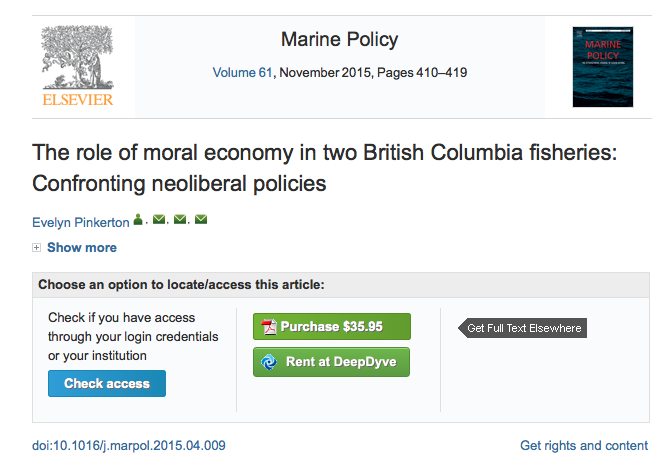 Open access is a big, ever-shifting topic. It’s easy to agree with bold philosophical statements, but it’s much harder to see how these issues should work out in practice. Blog editors are human too, and our enthusiasm for open access shows in this piece. Is this just naïve bias? Or can we use it to ask hard questions about the direction of open access? What’s missing in the gap between the ideals and the practice of open access? How will this play out in Canada, especially following the Tri-Agency’s Open-Access Policy and the launch of a new journal? What is the role of non-scientists? We don’t have all the answers to these questions. But you, our readers, have some, and we’d like to invite you to share them. We all have something to contribute to this increasingly important conversation. Editor’s Note: There’s an article in today’s Globe and Mail describing one possible solution to the open access issue. Science in Society academic publishing, FACETS journal, Katrina Wong, open access, preprint servers, research costs, research dissemination, Robert Gooding-Townsend. permalink.